You can see from the pic how the straps of the tank have lost their elasticity and become too long. Try on the top and mark the ideal strap length for you then cut off both straps. 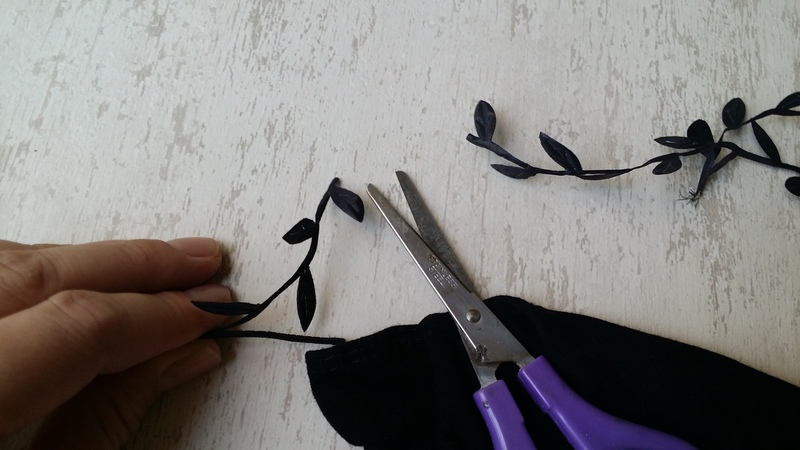 Cut off the last leaf on both ends of the ribbon. Repeat for the other ribbon. 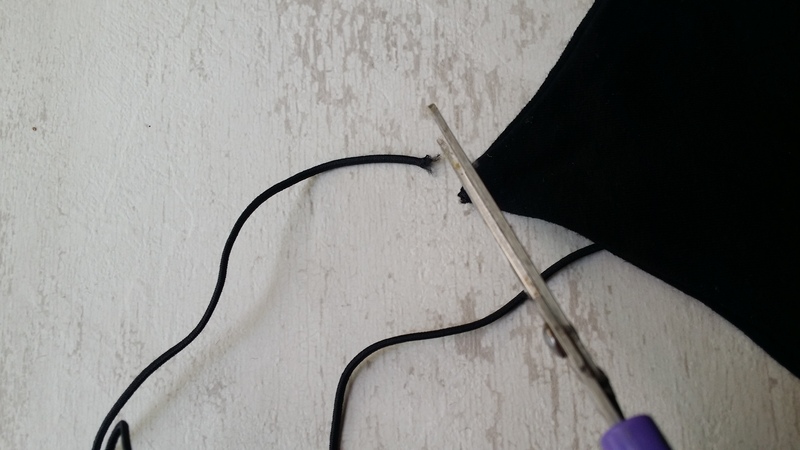 Depending on the type of material, you may or may not need to prevent the ends of the tank and ribbon from fraying. If you do, you can use Fray Check (world’s best invention for would-be seamstresses!). Alternatively, if you can’t get that, for a cheap and quick fix, dab a little E6000 onto the ends of the ribbon and tank. 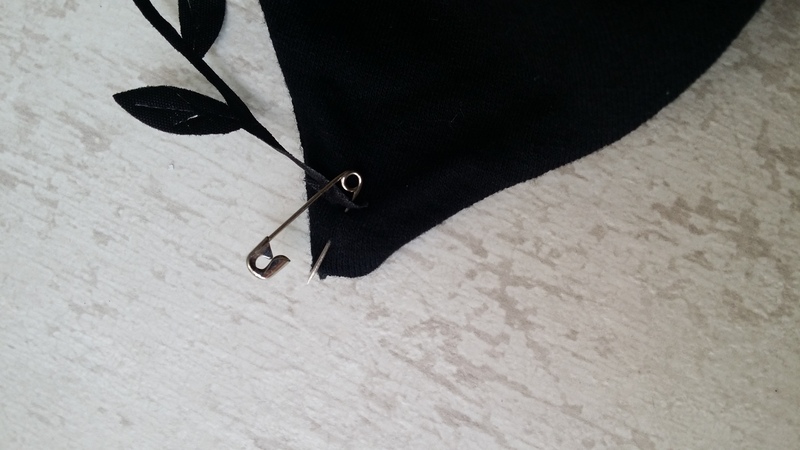 Use the safety pin to attach the ribbons to the tank. 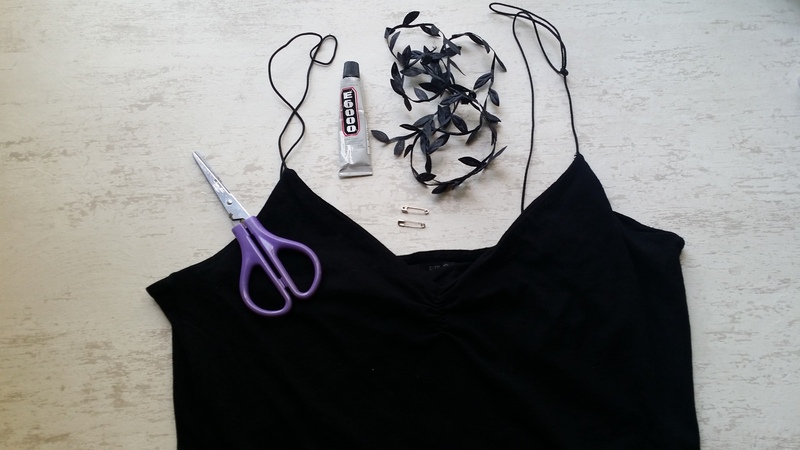 If you don’t like the deconstructed look, use black safety pins to blend into the tank or stitch the ribbons on. What I love about this tutorial is that it’s so flexible- change from a leafy ribbon to a plain one or to beaded straps for an entirely different feel! I just stopped by your blog… Such cute ideas! Looks lovely! 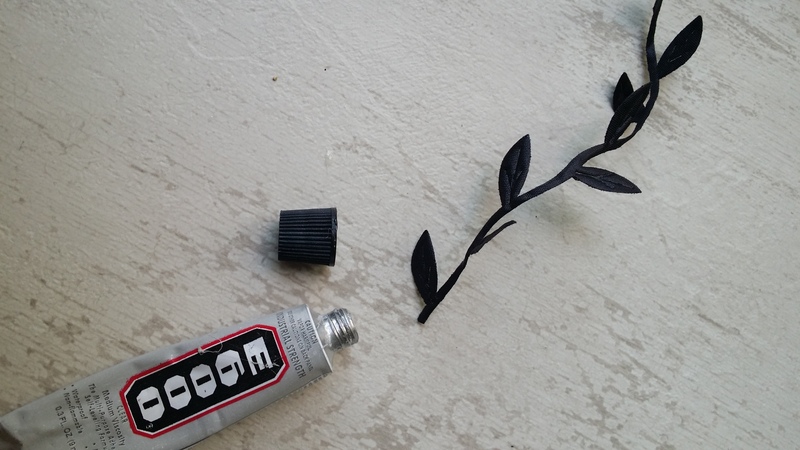 & easy to DIY.. This is thrifty! Love it!